It is not breaking news that the event industry has drastically changed in the last few years. Consolidation has led to a fewer number of key players in the audiovisual world, limiting the amount of choice when it comes to selecting a provider for your next event. With the narrowing field of options, event planners need to be extra mindful of ensuring they are receiving value with each dollar spent on audiovisual. A common dilemma among planners – to bring in an outside audiovisual company, or contract with the in-house supplier based in the hotel or convention center. First, planners should realize that they are absolutely not required to use the in-house audiovisual vendor. In order to truly make sure you are receiving value, avoid signing contracts with the venue that do not allow competition. When contracting with the hotel or convention center for the event, review the agreement carefully, and delete any language that refers to an exclusive audiovisual company, as well as any additional charges that may result from bringing in an outside vendor. Once that flexibility is established, the focus turns to finding the greatest value and quality for the budget. While in-house audiovisual providers can be very tempting to a planner, with many promising onsite convenience and bundled discounts with the venue, equaling to savings on items such as power, rigging, and internet, there are factors to take into consideration. When reviewing proposals, planners need to understand that the in-house company is paying a high percentage of commission to the building as part of their contracted agreement, with the goal of attaining a large share of the business that comes into that facility. In many cases, the economics for the arrangement simply cannot work in the planner’s favor. If the in-house company is required to pay a high commission to the building, often times that cost comes at the expense of providing lower quality equipment and less skilled labor for the event. Simply put, high quality gear and experienced technicians do not come cheap, and if the hotel or convention center is receiving a large portion of the revenue, then the in house provider is not able to provide the quality you would expect on the event. Many in-house audiovisual companies are also spread across multiple properties, along with their resources, and cannot maintain an inventory of the highest quality gear onsite at every hotel or venue. In addition, the onsite staff technicians are mostly adept with setting up basic breakout rooms, and are not experienced at handling larger, high caliber events on a regular basis. Given these factors, on average, for each dollar spent with an in-house company, the planner should expect to retain about 50 to 60 cents of value. On the other hand, outside audiovisual companies are not bound by a venue commission structure, and are able to offer more flexibility in negotiating the pricing for each event. The planner can prequalify multiple outside audiovisual companies to ensure the firm is experienced with handling successful events of similar size and scope, as well as working within their chosen venue. Outside audiovisual providers are generally more experienced handling larger general sessions, and are able to provide a pool of high caliber technicians that are well versed in complex technical challenges. An informed buyer is ensured the highest value possible for each dollar spent. Ask about commission paid to the venue. A good rule of thumb for determining the level of quality you can expect to receive from the in-house audiovisual company is whether the commission is 25% or less, which allows the provider the economics to invest in equipment and skilled labor for your event. Ask about depth of equipment inventory. In-house audiovisual companies may own and stock gear onsite to handle basic audiovisual needs, but for larger events, cross rent equipment to meet a higher level of demand. It is important for planners to inquire about the supplier’s depth of owned equipment inventory, as cross renting may add to the rental cost. Be specific regarding equipment for your event. When providing potential bidders with a list of equipment for pricing comparison, avoid general terms such as “projection” or “screens” and include a higher degree of specification – such as a specific model, brightness level or resolution. This will help in creating a true comparison between the levels and quality of gear from different suppliers. Determine the quality of the technical team. Gear is secondary to quality people. If the event entails a large general session or complex technical setup, ask potential bidders for examples of past events with comparable requirements, and/or ask for references from past clients, as well as their experience working with production companies. Suppliers that have experience with production companies tend to have a greater depth of technical knowledge. Ask about ownership structure. In recent years, private equity firms have been buying up a large share of the audiovisual industry. Most often, the drive of private equity is not to put out the best quality and value for the customer, but to make money and exit a business after the short term. The ultimate goal is to maximize the quality received with your contracted vendor and determine – am I receiving good value? When reviewing your options, it is important to dig deep and ask pointed questions to identify the motivation of the supplier to make an educated decision. The long-term success for any provider is driven by delivering high quality solutions and first-rate service to their clients, and a planner should expect nothing less. 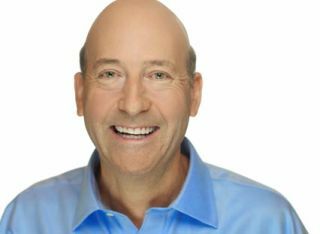 Les Goldberg is the CEO of LMG– one of the top staging companies worldwide.